Add a touch of glamour to a bedside table with the Addison Table Lamp by Heathfield & Co. The classic, curved shape is expertly crafted by skilled glass blowers and manufactured in the UK. 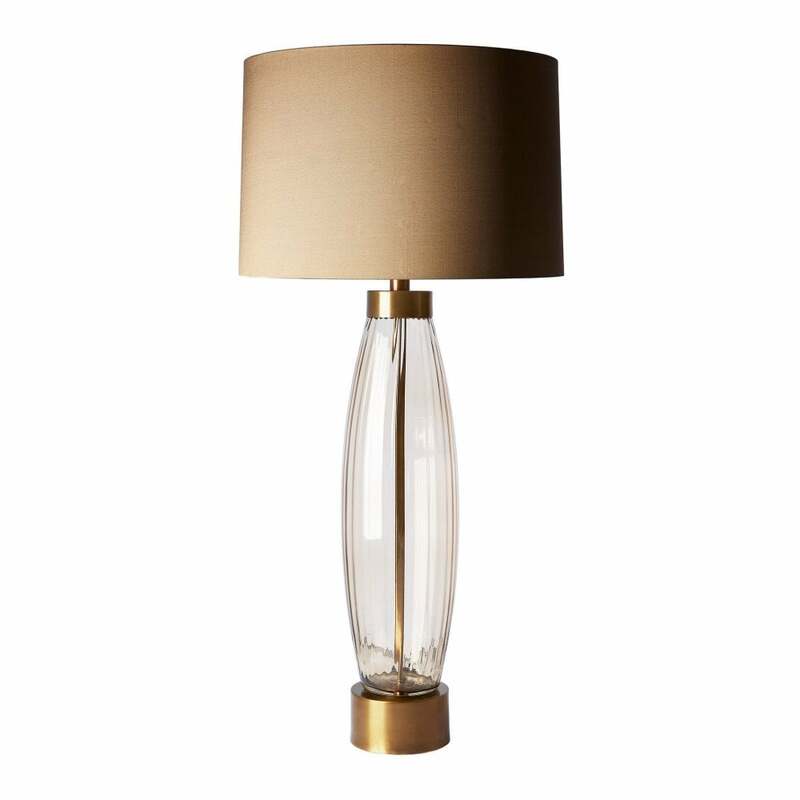 This elegant lamp features ridged glass complemented by antique brass detailing and a luxurious silk shade. Part of the signature collection, this timeless design is also available in a dappled finish. See Harper Table Lamp. Make an enquiry for more information.